The Miami Valley Adaptive Color Guard is a 501(c)(3) tax exempt non-profit public charity. As such, contributions made to the MVACG are tax deductible. 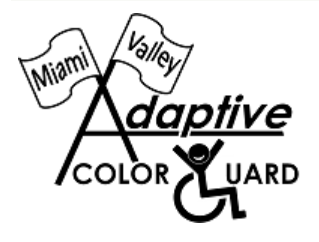 Miami Valley Adaptive Color Guard exists solely through the generous donations of our sponsors which are necessary for the purchase of new equipment and the upkeep of current equipment, insurance, and other fees needed for the running of the organization.